UAE court sentences two Lebanese nationals and a Lebanese-Canadian citizen to six months in jail over ties to Hezbollah. A United Arab Emirates court has sentenced two Lebanese nationals and a Lebanese-Canadian citizen to six months in jail followed by expulsion for setting up a group affiliated to Hezbollah, local media said on Monday, according to Reuters. The state news agency WAM did not identify the three but said they had set up a group of "international nature" linked to Hezbollah without a license. The three, a Canadian Lebanese and two Lebanese nationals aged 62, 66 and 30, were reportedly convicted of setting up an office for Hezbollah and carrying out commercial, economic and political activities without licenses. The court said the charges date back to before October 2014. The UAE in November 2014 published a list of groups the cabinet had designated as terrorist organizations, including two affiliates of Hezbollah group in the Gulf. Gulf Arab states in February designated the Lebanon-based Shiite Hezbollah as a terrorist organization and warned they would take action against any citizen or expatriate against any links to it. 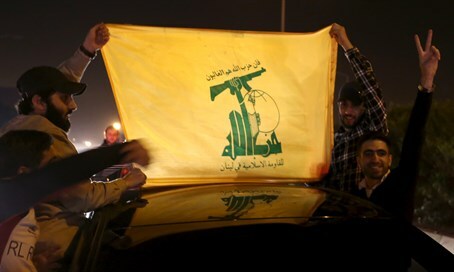 Late last month Kuwait – which is one of the countries to join the Hezbollah ban – expelled 11 Lebanese and three Iraqis suspected of belonging to Hezbollah. Hezbollah called the Gulf states’ decision to blacklist it "reckless and hostile" and blamed it on Saudi Arabia. Iran also expressed great outrage over the designation of Hezbollah and said, "Those who call Hezbollah terrorists have intentionally or unintentionally targeted the unity and security of Lebanon."